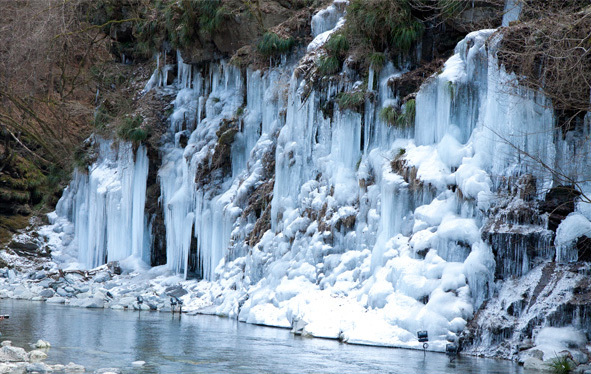 Witness the icicles formed from spring water bubbling from the rocks. This otherworldly and completely natural formation has never been altered by human hands. The falls are ten meters tall and thirty meters wide! 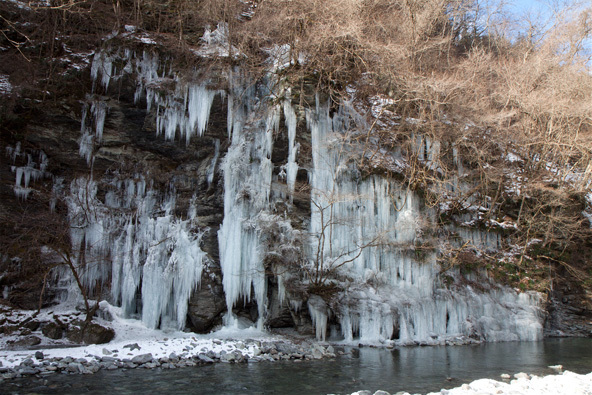 This huge icicles were created by flowing water over the cliffs upstream from the natural waterfall site. A staggering 25 meters tall and 55 meters wide! 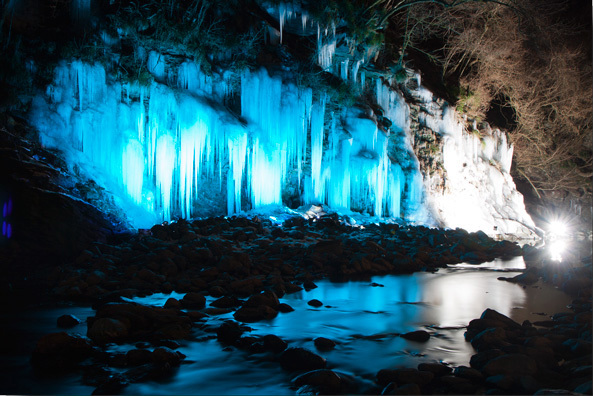 Get lost in the magical sight of the illuminated icicles between mid-January and mid-February. Open January 5, 2019 (Saturday) through February 27, 2018 (Sunday). Note that the site may close before the end date depending on the condition of the ice. A small fee of 200 per person (guests age 12 and older) will be collected to help preserve and maintain the site.